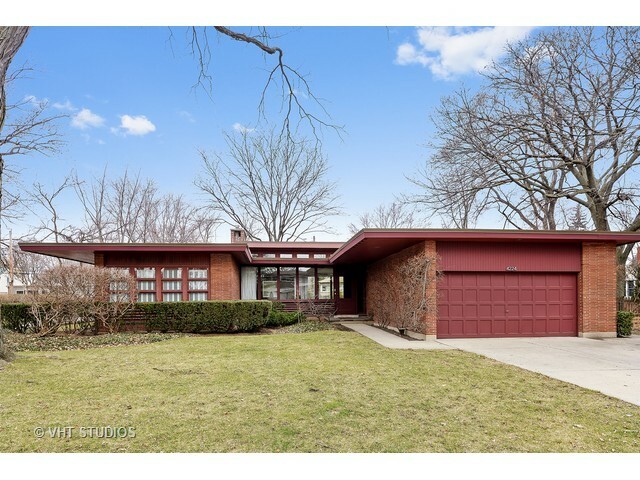 Classic MCM Ranch with New Modern Kitchen in Skokie! Take a look at this classic, flat-roofed mid-century modern home that just hit the market in Skokie. It’s got a new, modern kitchen and original bathrooms, so you could leave it as is, or bring the bathrooms in line with the new kitchen if that’s your preference. Contact me if you’d like to set up a showing!